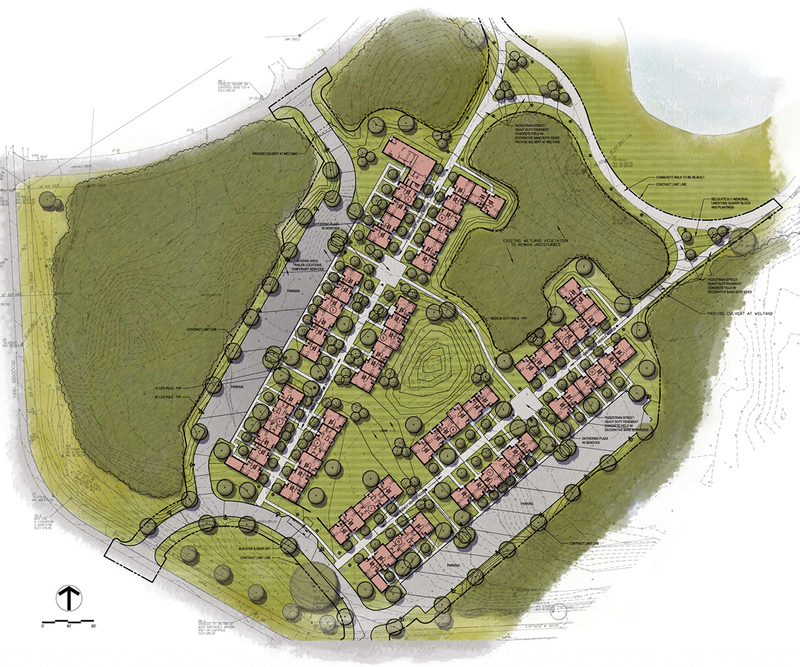 The site design Trowbridge Wolf Michaels Landscape Architects (TWMLA) provided for this new campus residential area organizes the townhouses along two pedestrian streets which bracket a large central common green space for community events and gatherings. 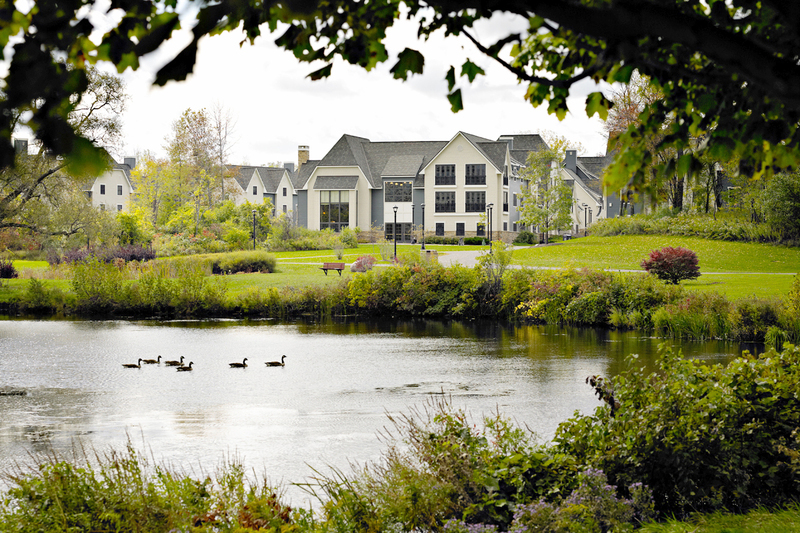 A critical part of the site design was to maximize views to the Glimmerglass Lagoon used as part of the stormwater practices, while minimizing impacts to existing wetlands. 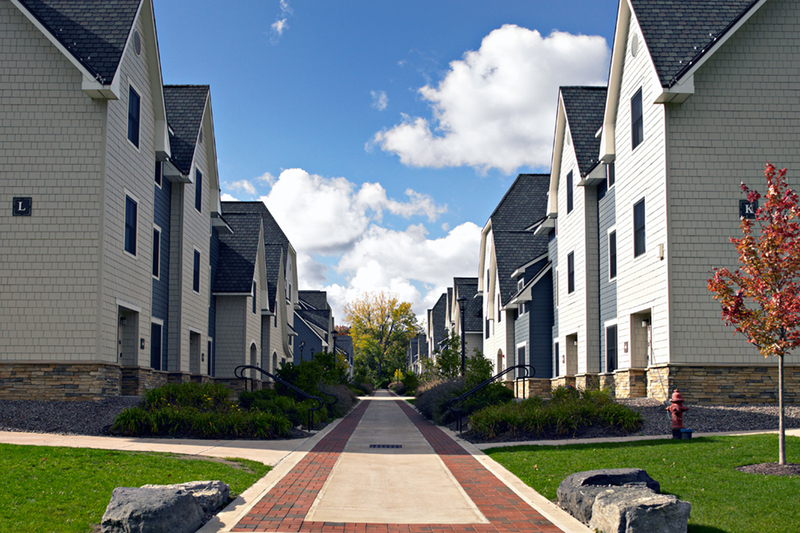 The intent of the new Village Townhouses DASNY-sponsored 350-bed townhouse development is to provide housing for students in their last two years of study. 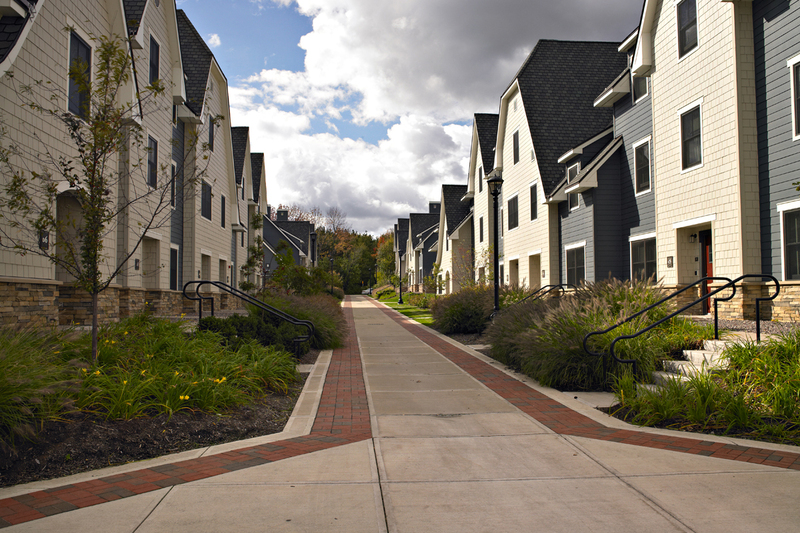 The college President wanted to provide a lifestyle “bridge” between conventional residential housing on campus and independent living after commencement. The project included dark sky lighting, benches, bicycle racks and landscaping, as well as new site infrastructure for utilities, vehicular circulation, and parking for approximately 175 cars. The project achieved LEED Gold certification. Some of the LEED points that were considered included Alternative Transportation, Stormwater Design, Heat Island Effect, and Light Pollution Reduction.